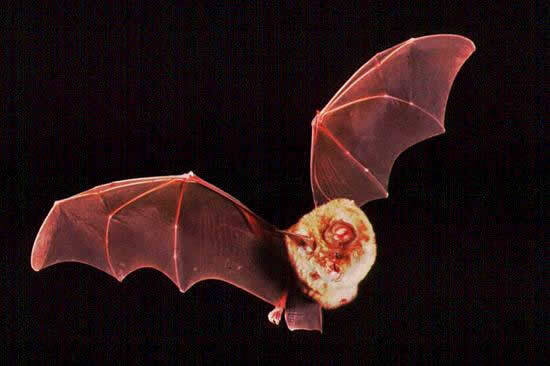 This is a large bat, with head-and-body length 6 to 7cm and weighing between 15 and 34gm; individual specimens have been known to live for 30 years. You may see Greater Horseshoe Bats in South Wales, but they are not at all common - in fact experts believe that numbers of this species in the British Isles declined by about 90% during the twentieth century. For a front-on view of the horseshoe feature of bats in this genus please see our Lesser Horseshoe Bat page. Pasture, parkland and the edges of woodland are the favoured haunts of greater horseshoe bats, which are attracted to sites near water. They feed on largish insects such as beetles, moths, sedge flies and craneflies, taking larger prey back to a night-time perch, beneath which the wing debris can be found. Most of their food is seized on the wing, but they have also been known to take prey from the ground. At roost these bats hang by their feet with wings enfolding the body. In summer they commonly roost in buildings, emerging to feed for about an hour just after dusk and again just before dawn. Maternity colonies of 50 to 200 are normal, with 600 recorded exceptionally. 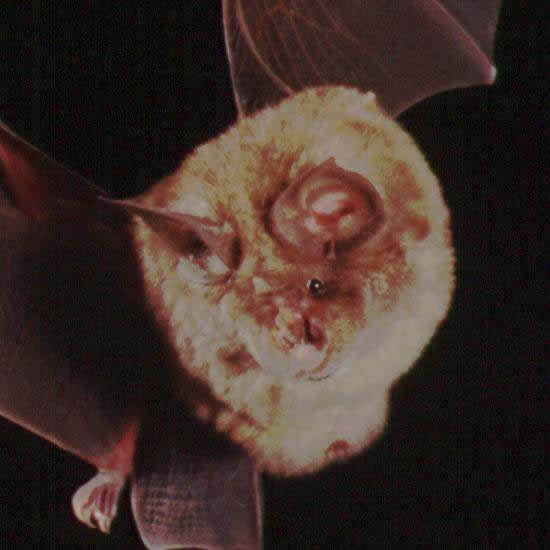 Greater horseshoe bats generally produce a single offspring, which begins catching insects after about five weeks and is fully weaned by the age of seven weeks. 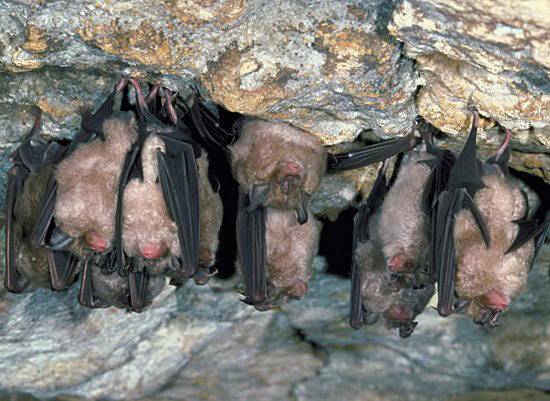 These are very much troglodyte bats: their winter roosts are in caves, cellars and tunnels. They hibernate from the end of September until April, although males, which are smaller than females and therefore perhaps more affected by temperature change, may move roost site more than once during a winter.